You probably won't be surprised by what the top YouTube video of 2012 was for Canadian viewers. It knocked Justin Bieber out of YouTube's coveted all-time top spot. Peter Mansbridge danced to it. A child donned an awesome sweater and pretended to be Justin Trudeau while singing it. It was the song of 2012. But Psy couldn't take all 10 spots in YouTube's annual end-of-year list. 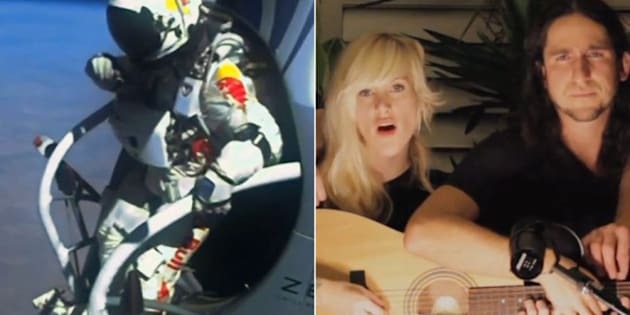 Covers of pop hits, a now cringe-worthy viral campaign video and Felix Baumgartner's legendary free fall from the stratosphere also made the cut. Click through the gallery below to see them all. Wondering where 'Call Me Maybe' landed? Check out the top VEVO videos of 2012.